Royal Caribbean’s Allure of the Seas, the world’s largest cruise ship, reported a “fire of short duration in the engine room,” a spokeswoman said the ship was sailing from St. Maarten to Port Everglades in Fort Lauderdale when an engine fire broke out at 7:45 pm on Friday, said spokeswoman Cynthia Martinez. “The ship’s high fog system was immediately activated, which contained and extinguished the fire.” No passengers or crew members were injured and the ship sailed to Port Everglades without any assistance. The cruise scheduled to return on Sunday. The preliminary results of our investigation have shown that there appeared to be a breakdown in communication in relaying the passenger’s concern. Neither Captain Edward Perrin nor the officer of the watch were notified. Understandably, Captain Perrin is devastated that he is being accused of knowingly turning his back on people in distress. Had the Captain received this information, he would have had the opportunity to respond. We deeply regret this incident and are continuing our investigation to fully understand the circumstances. If this story is true, we eagerly await statements from Princess Cruises, and Captain Edward Perrin, about what exactly happened and why two young men had to die. Last month, a group of avid birdwatchers aboard the Star Princess stood on the outer deck with high-powered camera lenses and took photos; the ship was enroute to Costa Rica from Ecuador. One of them saw a small boat in the water through their lens and noticed people motioning for help using orange and red shirts above their heads. The passengers informed a crew member who allegedly informed the bridge. According to the passengers, they insisted they saw what they saw and asked the Captain to turn the ship back to rescue the stranded fisherman. They say their pleas were ignored and later learned that three young men were aboard the stranded fishing boat and two of them died before being rescued. The passengers went public with their story and accused the Captain of ignoring the passengers cries for help and the distress signals sent from the fisherman. ABC NEWS Good Morning America ran the report yesterday. Click on the link to read the full story. Click on the link above to read the entire regulation at europe.seascout.org. According to a statement by Azamara Club Cruises, on Friday, March 30, at approximately 8:19 p.m. ship time, Azamara Quest experienced a fire in the engine room. The fire was contained to the engine room and was quickly extinguished. There were no injuries of guests reported and the atmosphere aboard is calm. However, in an abundance of caution, the Captain initially mustered all guests at their assembly stations. The ship is currently running on generator power until full power can be restored to the engine room. Azamara Quest is currently on a 17-night sailing that departed Hong Kong, China, on Monday, March 26, and includes port calls to Manila, Philippines; Sandakan (Sabah), Malaysia; Palapo (Sulawesi), Benoa (Bali), Semarang and Komodo, Indonesia and concludes in Singapore on Thursday, April 12. A fire broke out in the generator room of the Costa Allegra as the vessel sailed more than 200 miles southwest of the Seychelles, and about 20 miles from Alphonse Island in the Southern Indian Ocean. The crew was able to extinguish the fire, and no injuries were reported. The fire damaged the generators and the ship is adrift. About 600 passengers and 400 crew are onboard the ship. A distress call was sent out and the Italian Coast Guard is helping to coordinate the effort. Tug boats and commercial vessels in the area have been summoned to help. Incident: The 40,000 GRT, Sharden, an Italian passenger ferry owned by Tirrenia di Navigazione shipping company was damaged after hitting the pier; a 30 ft. gash in the hull above the waterline was reported. There were no injuries to any of the 262 passengers, or 53 crew members. Disposition: The ferry was towed back to the pier and all passengers and cargo were unloaded safely without incident. Accident attributed to high winds. Incident: The 22 year-old Japanese-built ferry sank off the coast of New Guinea with approximately 350 passengers and 12 crew aboard. Survivors told rescuers that large waves had hit the vessel just before it sank. Many survivors were rescued by six merchant vessels alerted by the Australian Maritime Safety Authority (AMSA), which had been alerted by Rabaul Shipping that the ferry had disappeared from a satellite tracking system. Incident: Hit a reef and grounded very close to shore. This ship is laying on its side, resting partially on some rocks. Approximate 150 ft. gash in the port-side hull. Summary: Just days after making an emergency stop in the port of Marseille for minor repairs as reported in Direct marseille Plus, the Costa Concordia ran aground on a reef at around 9 pm local time (UTC+1) off , having left Civitavecchia earlier that evening at the start of a seven-day cruise to Savona, Marseilles, Barcelona, Palma, Tunis, and Palermo. The crew remained aboard and the shipping line initially insisted there was no danger of sinking. 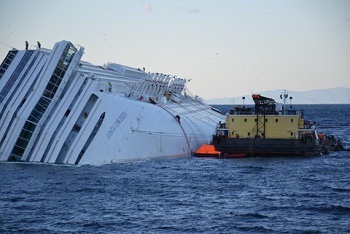 The first daylight pictures showed the ship lying on its right side and half submerged, not far outside Giglio Harbour. Other reports indicated the ship had developed a major electrical fault. According to the local coast guard, the ship has a 30-metre (100 ft) gash on its port side. The Daily Mail showed images of a large gash. The Giglio, Italy Webcam is back up and running. 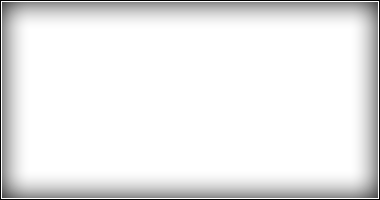 Allow time for page to load. Italian authorities officially ended the underwater search for bodies today due to safety concerns. Technical experts recommended the search end due to weather conditions and instability of the ship. No bodies have been recovered since the last update - 17 confirmed dead and 16 know missing. Salvage efforts are estimated to take up to a year to complete. Note: At last check, the Giglio Yacht Club Webcam is still unavailable. Two weeks after the tragedy, the ship remains on its side and rescue crews continue the search for bodies. As of today, 17 is the number of confirmed dead with 16 known missing. In the days following the accident, a contract was awarded by the Owners to SMIT and local partners Tito Neri for the removal of the bunker oil and pollution control. The estimated amount of bunkers in the vessel is 2200 MT of IFO (intermediate fuel oil), 185 MT of MGO (marine gas oil/diesel) and lubricants, distributed over 17 tanks. Costa Cruise Line yesterday reportedly offered every Costa Concordia passenger sailing at the time of the tragedy about $14,500 to cover expenses and emotional distress. Some experts suggest the passengers can receive as much as 150,000 and many passengers say they will refuse Costa's offer according to reports. Nine days after the accident, the recovery effort continues. • In the past two days, two bodies have been recovered bringing the confirmed death toll to 13, with a reported 20 more missing. There is some speculation that unregistered passengers were onboard the Concordia at the time of the accident making the number missing unclear. • Recent video has emerged showing a member of the Costa Concordia crew telling frightened passengers in life jackets that "the situation is under control", even as the liner was taking on water. • Italian officials are scrambling to get on with the recovery in spite of the weather. Complicating matters is the fact the ship is slowly inching its way down the rocks. Salvage efforts will not begin until the rescue effort is complete or abandoned. • The investigation continues into allegations of criminal behavior by the Concordia Captain who insists he informed the Costa Command Center of the situation immediately after the accident, and the actions he took were at the advisement of the Costa Cruises Command Center Captain. He also stated he did not abandon ship but rather tripped and fell into the lifeboat - even though on the evening of the accident, the Captain was heard on audio tape telling the Port Authority Captain he was "catapulted into the water" when the ship turned on its side. The Captain has made contradictory statements and now seems to be calling out Costa Cruise Line officials to share the blame. Costa Cruise Line responded to the allegation by saying the Captain was not truthful during the initial call to the Command Center, and reported an electrical failure rather than a disastrous breach to the hull. Costa Cruise Lines and its parent company, Carnival Corporation & plc, today confirmed their commitment to provide full support to those passengers, crew and families of the victims of the Costa Concordia grounding. “I give my personal assurance that we will take care of each and every one of our guests, crew and their families affected by this tragic event. Our company was founded on this principle and it will remain our focus,” said Micky Arison, chairman and CEO of Carnival Corporation & plc. “During this time of tragedy, we are doing our very best to provide the needed support to the Costa Concordia passengers, crew and their families,” said Pier Luigi Foschi, chairman and CEO of Costa Cruises. A day after the incident, January 14, 2012, the Captain of the Costa Concordia was arrested by Italian Police and is being interrogated about the accident. Passengers reported that the Captain left the ship without all passengers safely on land. 3 people, 2 passengers and 1 crew member confirmed dead. More passengers are still missing. Three people were rescued off the ship yesterday, 2 identified as a honeymooning couple from South Korea, and a crew member. "While the investigation is ongoing, preliminary indications are that there may have been significant human error on the part of the ship's master, Captain Francesco Schettino, which resulted in these grave consequences," Costa Cruises, a subsidiary of U.S.-based Carnival Corp., stated. "The route of the vessel appears to have been too close to the shore, and in handling the emergency the captain appears not to have followed standard Costa procedures." Disposition: The ship floated free at high tide with the help of 4 tug boats and continued sailing to her next port call.